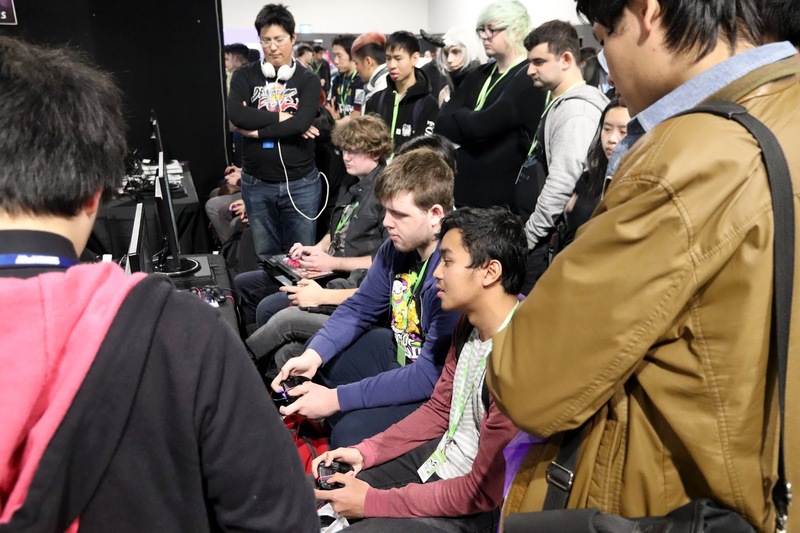 Event report by Matt S.
Over the weekend, Sydney played host to the annual SMASH! convention; Australia's own show focused almost entirely on Asian entertainment and culture. 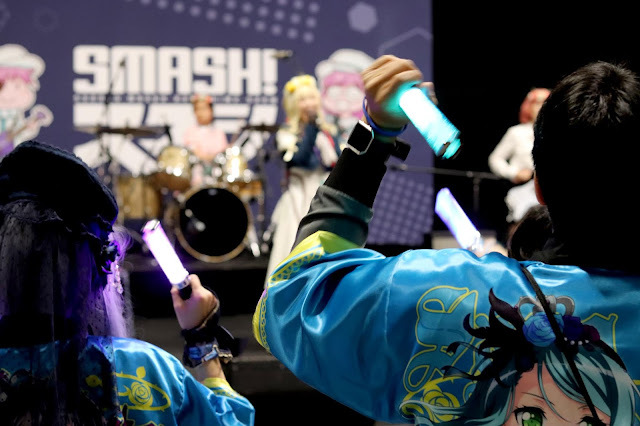 Where the likes of Supernova is generalist in nature (as much about Batman and Iron Man as it is about anime or Persona), and PAX is focused exclusively on gaming, SMASH! is for people that love games, films, anime and cosplay from (predominantly) Japan. And this year it was absolutely massive. 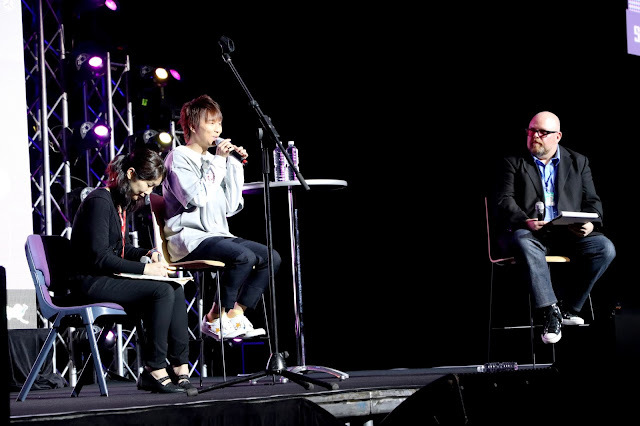 With a guest lineup that included Yoko Taro, the genius behind the NieR and Drakengard franchises (we have an interview with him going up later this week), as well as some of the best voice actors in Japan, SMASH! had a good, steady flow of presentations, Q & A and discussions featuring real star power. 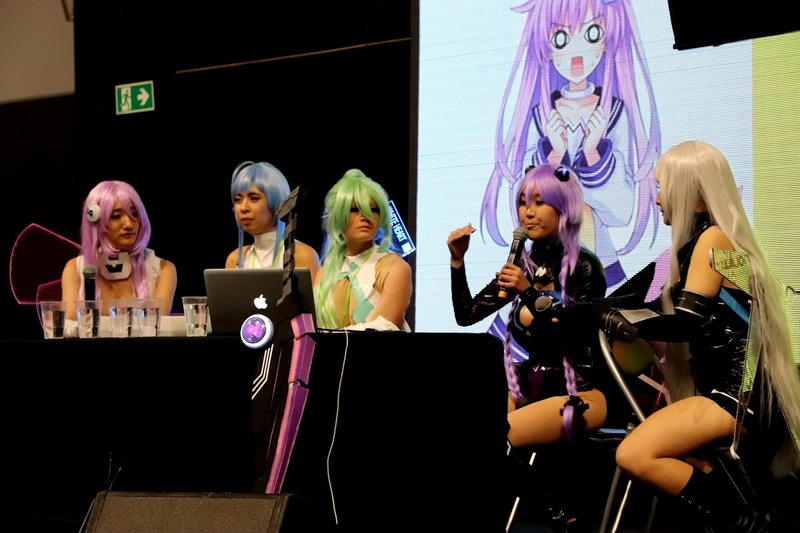 Dotted around the event were also smaller stages and presenting areas, which were used for more topical panel discussions, cosplay tips and tricks lectures, and character modelling, so artists could sketch down ideas for their next pieces. Speaking of art, one of the biggest sections of the SMASH! hall was reserved for amateur artists to set up booths and sell their own unique creations, from little books through to pins, prints and the like. Wow was Persona 5 a common theme among the artists this year. This section has grown steadily every year, and this time around really encompassed a huge part of the SMASH! experience. 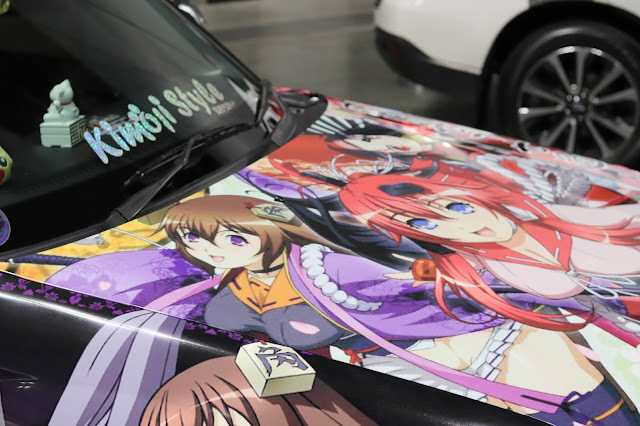 I really enjoy walking around this area, looking at how fans are engaging with, and building on, popular game and anime franchises. It's a good chance for them to get their name out and some commissions in, too. The gaming section was also much larger this year than in previous, and the SMASH! team has really done a great job in building out the gaming credentials of the event. A number of booths were showing of some delightful indie games from Australia, while other booths let people play rhythm games like Hatsune Miku: Project Diva Future Tone, Persona 3, 4 and 5 Dancing, and some new releases like Shining Resonance. A significant amount of space was dedicated to Japanese fighting games, while a small stage also hosted a well-attended League of Legends tournament. 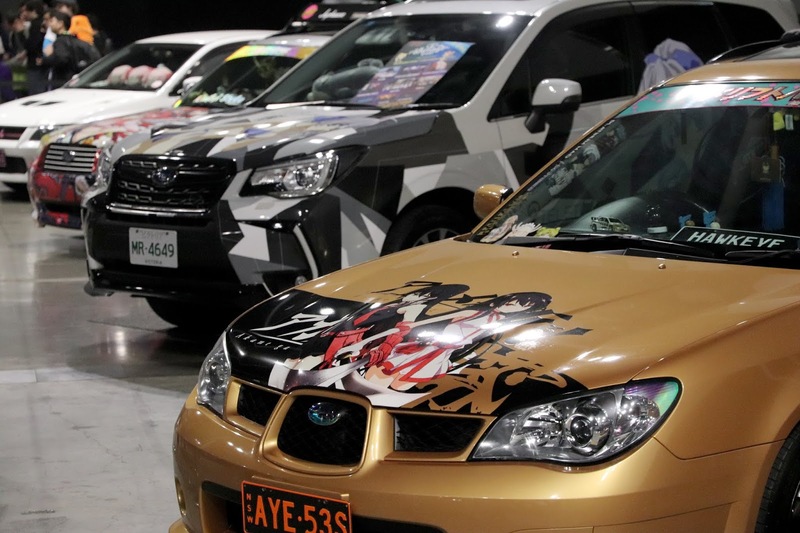 And, nearby, there was a huge amount of floorspace dedicated to getting people playing Japanese collectible card games, such as Vanguard or Weiss Schwarz. There were decks on hand for people to learn the game, and then a nearby booth was selling the cards for people that wanted to get stuck in and start playing for themselves. All together you could have easily spent a day or longer just wandering around and enjoying the gaming section. SMASH! isn't PAX, of course, but gaming is such a significant part of Japanese pop culture, and every year this section grows; there's real potential for this to grow into the #1 destination for Asian focused gaming culture in the years ahead. Over another part of the convention was the obligatory Gunpla area, where people can learn and compete with that particular hobby. I've always found Gunpla absolutely impossible to understand, much less want to be a part of, but the big crowds that were in there all day made it quite clear that the hobby remains more than well supported in this country. 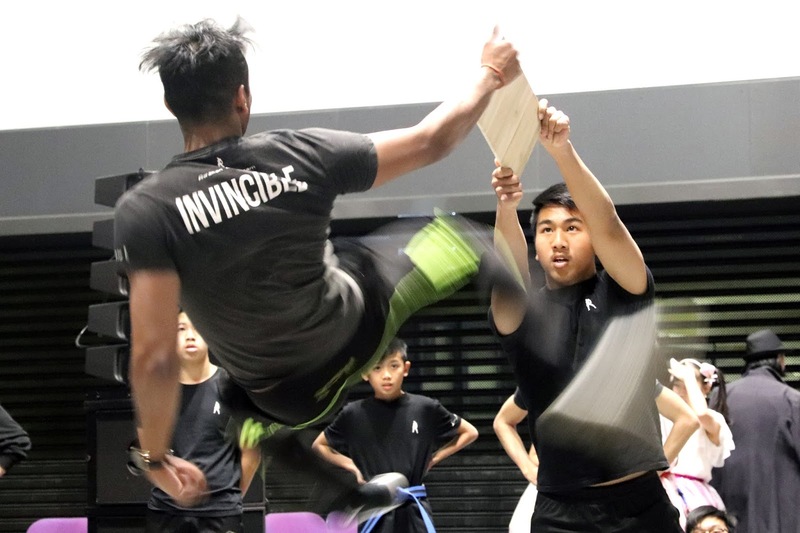 There was also a stage set up in one area where free performances were going on throughout the day; everything from mini-concerts to dance routines and martial arts exhibitions. Nearby there were dozens of shopping booths where you could pick up everything from retro games through to weird T-shirts, anime character figures, and DVDs. It, too, was the largest shopping booth section that I can remember. 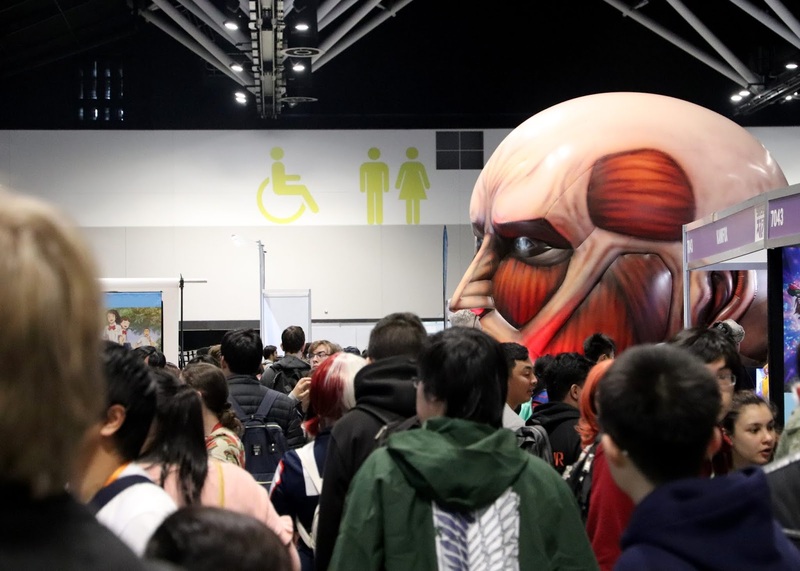 This was the first year that the event had been held at the central CBD Sydney Convention Centre location after a fair few years out in the far reaches of western Sydney. The central location certainly helped; it was so easy to get to and from the event, and easy to duck out of the convention and go find lunch or even do some other shopping if you wanted to. The venue itself was not ideal in other ways, however. The previous location (Rosehill Racecourse) actually split the event across a number of different buildings, which meant that you had to keep exiting the buildings to move around. That in turn meant you were constantly getting some fresh air in, the food area was large with plenty of seating, and it all felt more spacious. The Convention Centre, meanwhile, was completely self contained, meaning the air could get stuffy, the crowds felt tighter, and the food/ seating area wasn't sufficient. It'd recommend the organisers look for solutions there for next year to encourage people to get out and get a breath of fresh air more frequently. What I love most about SMASH! however, is the spirit of the people that attend. This is a bright, happy, and friendly community and people, for the most part, get right into the spirit of the event in the most positive way. There's cosplay everywhere, but I never see people being harassed. The crowds are going to a very significant size, but there's never any pushing or impatience. Because SMASH! has such a narrow focus, the people there are far more unified in their interest in the subject than you see in many other events, and that leads to a better sense of community within the event, I've found. Here's looking forward to what 2019 brings with what remains my favourite event of the year in Australia.